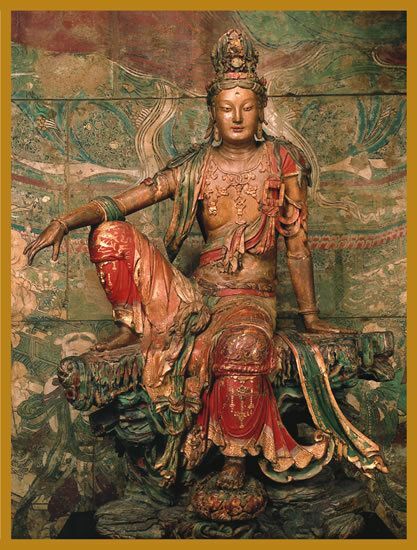 A poster of Kuan Yin, the Buddhist goddess of compassion and mercy, hangs in my living room. She looks relaxed, at ease, overlooking the worldly chaos that we endure daily. “Relax,” she seems to radiate. Okay. I think I will. The new year is always a pretty high time for me. This year, it all began with a Christmas tree. For the first time in, oh, say 30 years, I bought a small tree a few days before Christmas. It came with lights and, I have to say, was pretty cute. I decorated the artificial leaves with paper ornaments downloaded from the Internet and added a few more lights to brighten the room. It brought me great joy. Each morning, I plodded around in my red flannel nightgown feeling, well, relaxed. Nice. No urgency, no panic. Could it be that making that last payment on my living room furniture could bring such calm? No. It was deeper than that. I had begun to take charge of my life in this strange world of recovery from CIDP in a more confident way. Like the calming voice of a hypnotist, everything seemed to be repeating that word, and the word itself seemed to be swathed in a soft blue light. “Okay,” I thought. One morning, I plugged in the tree and (using my new Roku television app!) found a virtual fireplace with Christmas music. Standing back and looking at the fireplace and the tree, I was once again struck by how relaxed I felt. I’ve had such rare moments of this kind of peace that I had to take it all in one moment at a time. I felt warm, cozy, and ready for 2016. How would I begin this year? I emptied a pack of raw cranberries into a saucepan, added some sugar, and stood stirring and watching as the red berries began to bubble. There were three things that came to mind that would make this a year of relaxation: cooking, writing, and— crocheting. Crocheting? More about that later. Cooking puts me in my happy place. It’s one of the few areas in my life where I am totally at ease, content. This explains why, when I lost my ability to feel with my hands or lift things, I panicked. The kitchen is my sacred space. And this is something I got from my parents and extended family, both men and women. In the kitchen, secrets were shared, hearts were healed, and great food was made. Perhaps this is why, when I think of the peaceful times in my family, it has to do with food. The cranberries had boiled into a thick, sugary sauce. Yes, cooking would definitely contribute to a peaceful year. Then, I thought about writing. Ahh. Writing. It is no exaggeration to say that writing has saved my life. But my resolution is not about discipline; I can always use more discipline. It’s about staying in touch with that fire that kept me going in my journals when I thought everything was lost. It’s about using it to connect my personal history, my ancestry, and food. Yum. I knew that I was gonna have a glorious holiday breakfast. The virtual fireplace was roaring, the choir was singing “Angels We Have Heard On High,” and the tree sparkled against the dawn. I sliced a hunk of cranberry speckled cornbread and put it in the toaster oven to heat. Now, about this crochet madness. Really, Sala? Really? The cornbread was hot and I slathered it with my newly made cranberry sauce and butter. Nope. Watching my weight was not even in the list for the new year. Next were fried apples, heavily seasoned with cinnamon, nutmeg, and dates for sweetener. Of course I cooked them in butter; I’m not stupid! Standing over the stove and plating the food filled me with an inner sweetness matched only by the odors filling my apartment. Like a ghost, the smells slipped under the door and out into the building hallway. I’m sure that everyone on my floor knew I had cinnamon for breakfast. This morning, post-New Year’s celebrations and all, I have the urge to crochet a wall hanging and frame it. I’ll let y’all know how that goes. Joy is the greatest gift we have, and for some outlandish reason, I feel that relaxed joy is the most important part of my resolution for 2016. Not weight loss; not changing my style; not a spreadsheet with tips about exercise. All this is important, but the most important is joy. Relaxation and joy. That’s what I want for the new year. And that’s what I wish for you. Summer’s over. The reds, peaches, and blues of summer fruit are making way for the greens, burnt oranges, and purples of winter’s warming vegetables. Beautiful, isn’t it? Soup. Yum. In my healing process, I’ve become more committed than ever to eating according to season. The soup pictured above was so easy to make, filled with the brilliance of the changing season. Sitting in my flannel nightgown and looking out at the nature trail, I feel secure. The United States Department of Agriculture has a term for people and communities without access to affordable, nutritious food. food insecurity. Let that sink in for a moment. Food. Insecurity. The USDA attributes this to lack of money. Really, it’s more than that. Five years ago I was visiting relatives in Delaware. We stopped at a large chain grocery for supplies and, as we were leaving, I saw an employee tossing bags of unsold bagels into a trash bin. I was, to say the least, interested. What? Someone might choke on a free bagel? In some of our poorest communities, liquor stores—with a high-priced fare of wilted greens, squishy tomatoes, old, brown meats and yellowed chickens—are often the only access to food. In those same communities, some grocery chains have refused to open businesses claiming unprofitability. Now, I find that, in some places, giving unsold food to the hungry is against the law. Liability they say. My father taught me empathy. We were a large family with limited income, and my parents were no strangers to nights sucked into the black hole of insecurity. But we were lucky. There was always food on the table thanks to relatives who farmed and owned produce stores. My father had a garden in the back yard. For us, the bear of hunger was never a guest at our table. A deeply religious man who had served in the Pacific Theater during World War II, and suffered emotionally because of that experience, Daddy knew the meaning of empathy. In spite of his personal demons and contradictions, he cared for others and passed along the wisdom that has stayed with me all these years. I learned, at the table, that the rigorous road to freedom is paved with empathy and compassion. It is impossible to think of my father without those words whipping around in my mind like a line full of laundry in an autumn wind. One sunny, summer afternoon in Berkeley, California, I was exiting the subway. A man, woman, and child were sitting in the entrance. The man asked for money. I told him that all I had was the lunch I was carrying. It was simple fare: a sandwich I’d made, some fruit, maybe some chips and a soda. I don’t remember it all. I asked if he would like it. Yes, he said. I will never forget his eyes. His wife cried as he accepted the bag. I am moved to tears whenever I think of the incident. Since that experience, I have been generous with my lunch bags. Every major spiritual path invites us to live empathetic lives and to take empathy to the next level: compassionate action. We’re invited to change things, to make things better. The palette of life offers a rainbow of opportunities for compassionate action: serving at a soup kitchen, making and delivering meals, passing a lunch along to someone, creating and sustaining community vegetable gardens, mentoring young people to become urban farmers, or teaching children what it means to select good food and eat well. From the White House to celebrity chefs, it’s happening. I’ve said what I have to say this morning. Now, let’s eat. And share a meal with someone. If we’re lucky, we receive a kind of grace—a mercy or blessing you might say—that helps us let go of old, limited views, so that we can see how our biased loyalties harm ourselves as well as others. Today, I feel lucky. I’m not even sure what I meant by that, outside of understanding that I’ve vehemently disliked insular communities. Now, I’m changing my view. The fact that many parochial, narrow-minded communities are pariahs of the human race does not cancel out the fact that other small communities provide safety from exploitation and bigotry. The kind of thinking that led to the massacre of nine people in a South Carolina church this month is an example of the first; the openhearted warmth traditionally found in Southern black churches is an example of the second. This morning, as I sip tea and watch hawks circle the air in search of something that died in the night, I’m reflecting on my limited understanding of provincialism. My perceived open-mindedness of urban sophistication is gone. Three years ago I was diagnosed with Guillain Barre Syndrome, a condition that developed into chronic inflammatory demyelinating polyneuropathy, most commonly known as CIDP. I was unable to walk, hold anything in my hands, or go to the bathroom unassisted. My community became a closed world of doctors and medical practitioners, hospitals and rehab facilities, and friends as I learned that only one to eight in a million are diagnosed with CIDP. The insular nature of a serious illness can offer new perspectives. A parochial mind can exist anywhere—in a family, among school friends, even in the heart of New York City—and, while I’m embarrassed to admit it, my own ideas about insular communities provided a false sense of security that, over time, became bricks in my wall of arrogance. It’s been almost two years since my last serious relapse. I’m stable and a little wiser. I’ve had time for reflection. Not too long ago, I met a woman who is a talented needlework artist. She’d been working at the same job for 52 years, something I was never able to imagine for myself. In contrast to my life of weaving in and out of communities on this or that coast, she’d remained planted in the community where she grew up. She married well, and looking at her needlework it was clear that she was inspired by a broader outlook on the world. Yet, she was still connected to her community. She knew the people and their families, their histories, and I would not call her provincial. Who are the provincial? Is it the uneducated hill woman in the mountains of West Virginia who saved me from bleeding all over the countryside? Is it the “sophisticated” urban professional who, as a supervisor, makes work life impossible for a subordinate? Are they the bluegrass and blues musicians hidden away in a back woods holler, welcoming everyone attending their gatherings with openhearted acceptance, or are they the religious zealots who insist at all costs that every person live as they live? I can no longer paint the provincial with a single brush stroke. It’s become a heart-to-heart negotiation. I think I’m finding an answer. This Is What We Do. Be Responsible. Vote. Ensuring our freedom in a democracy. This is what we do. On June 26, 2013 in a 5 to 4 decision, United States Supreme Court justices ruled that nine states with a history of racial discrimination no longer have to obtain federal approval for changes to voting rules. Our work never, ever stops. For every citizen — a vote. An apple. A cup of grapes. A banana. Pineapple chunks. Flax seed and kale. There’s nothing remarkable about blending fruit and vegetables. What’s remarkable is the power of these drinks in my healing. I am gaining strength and experiencing so much more vitality each day. Raw, blended food seems to be reducing my body’s inflammation. The experience keeps me quite optimistic. I remain sanguine with CIDP. In the middle of one of the most challenging segments of my life, I wake up optimistic. In the middle of one of the most challenging times in American history, a new “Reconstruction,” we must remain sanguine. Americans are being intellectually and physically terrorized by Americans. From Florida to Ferguson, Missouri to Congress, extremist thought has infiltrated the political process in a frightening way. We cannot allow ourselves to be frightened. The inevitability of a shift in demographics in this country has led some citizens and lawmakers to lose their minds. Now, the only way elected Tea Party/Republican officials advance their agenda is by spreading the poison of ethnic hatred. Fascism is a very nasty word. When we are complacent–and you know who you are–about voting, we get what we got. The deaths in American history, all to ensure the right to vote, are the colors we wear (did I mention sanguine is also a color: blood red?). It’s beyond stupid. It’s dangerously dumb to not vote. I remain sanguine and angry with folks who do not vote. Yet. Despite it all (and African and Native Americans in this country have seen it all), people of good heart continue to fall in love, plan families, raise children, vote, complete educations, play sports, work hard, create music and art and–like Michelangelo with his blocks of marble–see the potential in the ordinary. We live socially just, compassionate, and joyful lives. We are sanguine about the future. Yes, today’s America still holds more than a splash of optimism. Once again, summer has surrendered to a shiny autumn moon. Meteorologists forecast a hard winter. But we always expect the best outcomes. There is an ancient potency, a fertile, tender marriage between Spirit and optimism. Spring will come again. It’s guaranteed. We will survive autumn rains, the inevitable snow, and a neo-fascist Tea Party/Republican majority in Congress. I come by it honestly. The book under my elbows is The Little Red Caboose. P.S. Sorry to be late with the post this month…I will be better. I remain sanguine. The word means fertile, fruitful, abundant. Ours is a fecund world of 7 billion — old, young, and all in between — giving birth to new life in all forms: a child, a poem, a work of fiction or history, music. Somewhere, someone is giving birth to secular or spiritual knowledge. More often than not— no matter the opinions of the chicken little doom and gloomers — our experiences, even the negative ones, and productivity serve to enrich and enliven the heart. Take the writers who choose to birth memoir for example. Forged from a lot of work and soul searching, good memoir is rich with life experiences that, with any luck and grace, make our paths in this world a little bit — or a lot — brighter. How do they do it, these writers? How do they dip so deeply into the well of their own fertility to transform lives? As I continue to reach for that lofty goal, I find that, in the heat of daily life, it’s easy to overlook or miss the fertility of experience— ensuring that it will be forgotten. In 1967 I enrolled in a small college in the picturesque town of Bluefield, West Virginia. In retrospect, my application to the school wasn’t so much about academics as it was about leaving home. My high school grades were abysmal at best, but I was young, curious, and enthusiastic with a high school counselor who worked on my behalf. Lucky to get in is an understatement. I looked forward with gratitude to my new life. 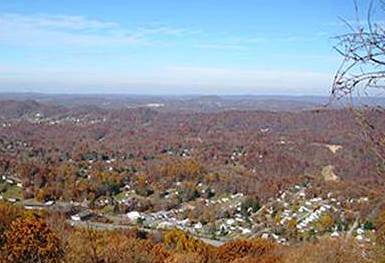 Bordered by Pennsylvania, Ohio, Kentucky, and Virginia, with Bluefield at its southernmost tip, West Virginia is definitely, most definitely the south. Bluefield is less than 70 miles from North Carolina. Having spent my childhood summers in South Carolina, I was familiar, to say the least, with the South and its culture. Remember, this was 1967. But I wasn’t really thinking about that. Pastoral scenery. An all-black campus. These were my desires. I’d spent so much time in rural countryside that I deeply looked forward to the nature of things. I love this country landscape. But this is what I do not understand: with all of my love for the rural, how have I always resided so close to the city? More on that another time, but the fruit of my fertilization by both cultures cannot be underestimated. John Denver’s Country Roads only begins to lionize the West Virginia landscape that greeted me. The hearts of the people I encountered planted within me a seed of service and understanding that continues to grow in my life. On my arrival, the campus had changed. Community tension was high as black students protested, and fears were heightened by rumors of Klan activity. My alliances with community activists complicated things for me in the ultraconservative, religious African-American home where I rented a room. God bless the fate of the naïve. I had not counted on the fear-based hostility from some of the local blacks as being a part of the mix. The fear was understandable. In an historic coal mining town where, even today, the black population is only 23%, I had a lot to learn. I was asked to leave, but received a reprieve after a community action leader that the family respected approached them on my behalf. Judaism. I knew nothing. The Diary of Anne Frank, which I read in high school, was the extent of my knowledge about the Jewish faith and culture. but when I met a young Orthodox couple who invited me to my first Seder, I began to understand things. I learned that the Klan didn’t like them either. And I remember the reverence with which they celebrated the Sabbath. They lovingly shared why and how they separated the silverware. They were not community activists, but my understanding of community expanded. Hill people. I hate stereotypes. And although the Beverly Hillbillies was a hit on television, it did not picture the simple, heavyset white woman in the hills who stopped the bleeding after I ripped my knee on a barbed wire fence in waist deep snow. I can’t remember why we were in the hills; it wasn’t a particularly safe place to be. But she fed us buttermilk biscuits, chicken with gravy, mashed potatoes, and called the doctor — who gave me a tetanus shot, but would not stitch the wound because he didn’t want to touch black skin. I have the scar to this day. She was a woman with an open mind and a loving heart. I cannot remember the racist doctor’s face, but I remember hers. I remember the fields surrounding her small home, the snow up to our knees, the cows in the frozen pastures, and the comfort of her living room as she asked about our intentions. I met students and volunteers committed to making America a better place. My activities got me expelled from school at the end of my first semester, a year before the anger exploded — literally — with the bomb in the gym. But the world had become richer, a more fecund place to be. One in which I would never turn my back on service. Note: Thank you to the Mercer County Convention and Visitors Bureau for the lovely landscapes! Spiritual texts tell us that love is all around. We must show it, not tell it. Even as a child, I wanted to be told. But, love, in the pragmatic world of poverty, extreme racism, and fear revealed itself as a practical thing, woven into the daily life of meals, clothes, and housing. During the summers we experienced love in visits to the south where hot days in the fields, riding the backs of cows, and filling buckets of clean, tasty water from an underground spring left us tired and happy. Eating freshly slaughtered chicken and meats, farm grown veggies and fruit— figs, grapes, and peaches were my favorites — left us feeling supremely cared for and nourished. Those things were evidence of love, and for the adults in the world around me this evidence was proof enough. My father would say “show me, don’t tell me” and he was no hypocrite. He lived his life showing through baseball games, circuses, and rides on his back after Thanksgiving dinner. I embraced the apparent truth that love was show, not tell. And yet, as I grew into womanhood, I began yearning for the words. Perhaps it was because some of the folks that came into my life did not know how to show. They did not come from families of evidence. In this world where I pray to see a do-nothing Congress get past the extraordinary racism buried in attacks against the president so that they can show some compassion for those who are less fortunate, I think that many of those people do not come from families of evidence. I want to be shown that they have an ounce of feeling for those without insurance, without food, and who have placed their lives on the line to defend them and now need support. Show me; stop the flapping lips. But I’m getting off track. Evidence, of course, is mixed. I also experienced evidence that love was far from our door. My mother was not one to exhibit as much as one millionth of an inch of sentimentality. Except for anger, which was constant, she kept her feelings sacredly locked within her until women came together to can fruit and vegetables, cook holiday meals, and talk about their husbands. Only once do I remember her exhibiting sorrow — it is the only day in my memory — and that was when my father pushed her to the floor. Show, don’t tell. The day remains in my mind like a photograph that cannot be destroyed. Why, sometimes, do I want to hear the words? I am blessed with a view of the campus park across the street. The leaves have dropped from the trees, and I have a full view of the trail that winds through the college. Parents with toddlers, dog lovers, boys holding girls, and boys holding boys; future track stars in heavy coats force their tired legs uphill. The setting sun presses fat fingered rays through empty branches, covering the brown shrubbery and happy hikers like dripping paint. It’s like a drawing that revals my memories of past walks in forests where I was shown, not told, about love. Show me, I would insist, don’t tell me. What was it that Otis Redding said? Oh yes. Why is it so challenging to bask in the love that we all desire? I believe that it is everyone’s intention to surround themselves with the softness of life. By that I don’t mean the softness of material things, the silks and satins and cashmere of life. I mean the softness that comes with peace of being… Soft. Tenderness. It’s a quiet summer afternoon. I’m looking out the window and watching butterflies circle the backyard. They seem completely at ease. Is it because, amazingly, the black cat with the strange green eyes is at ease? Is she practicing cat tenderness? She doesn’t move from her perch as the butterflies and birds flit around her. Only the gray squirrel raises a racket. There is no threat. Softness abounds. Sunlight fills crevices like liquid. My soul is filled with tenderness. And I, who thrive on seeing the world through rose-colored glasses, want to believe that every human being loves the sun. The poets, romantics, musicians, spiritual teachers — even scientists — testify to the healing power of tenderness. Go ahead, say it isn’t so. But you’ll find yourself in some very isolated company. I’m reminded of mornings on my grandparents’ farms. Both maternal and paternal grandparents knew the power of tenderness and peace. My own memories allow me to understand why my mother, in her dementia, retreats to a place of softness and safety. Not too long ago, I was asked by a health practitioner to remember what that tenderness feels like in my body. I was happy to revisit that glorious childhood experience. Vacations were watercolor mornings, filled with strolls amid the corn, watermelon, and tomato fields with paternal and maternal grandfathers. For me, our small farms and communities played in my mind as barricades against treacherous white men whose daily bread filled them with the hatred required to circle the south looking for unarmed black men and boys. “Remember what that tenderness felt like,” they say. It’s because currently my life requires the wondrous gift of tenderness: regular rest, naps, real food and more proteins (did I tell you I now eat poultry as well as fish? Gone, gone are those days of self-righteous food Puritanism!) I eat vigilantly, and monitor my emotions. “Get eight hours sleep,” said my dear physiatrist Dr. J. For 40 years when I thought of South Carolina away from my grandparents’ homes, I thought of a place contaminated with murder and the blood and bones of enslaved black people. With my maternal grandparents gone, their home and land sold, and my estrangement from the conservative religious views of the South, there was no reason to return to that place. History suffocated tenderness. Then I attended a family reunion in Myrtle Beach and the feelings flooded back. The signs on stores, restaurants, and bathrooms and drinking fountains — “colored” and “white, ” placed there to kill the human spirit while threatening the physical body — were gone. Those signs had pitted my tender heart against my gentle maternal grandfather. When I was about 10 years old, he took us into the city of Sumter to run errands and buy sweets. As if in slow motion, I found myself bowing my head to drink from a fountain clearly marked “white only.” My grandfather did what he had to do to protect me. the incredible love and tenderness in the heart of the man forced to take such action; the incredible love and tenderness in the heart of the man saddened by his own action and; the incredible love and tenderness in my own heart that allowed me to keep loving him. Tenderness in its myriad forms — family, church, and community — ensured our survival. Tenderness has contributed, in spite of the traumas of living, to the person that I am. It is a tender summer day and I wonder: If every person, politicians especially, accessed a single memory of tenderness, would the world be a very different place? I, who thrive on seeing the world through rose-colored glasses, would like to think it so. It was never intended for these pages to trickle into a diary. You know—”today I did this, yesterday I did that.” But it’s Spring. I’ve been through autumn and winter, and I realize that for six months I’ve been living a life I never saw coming. So, I find myself using these pages to write about a world that I would rather ignore because it helps me keep some semblance of sanity. The words I’ve written have felt, a little too often, dark even when the words themselves are bright. But I wanna track back to the beginning, to the color, vision, and power of language. So in a hopscotch fashion, I have leaped around to land on: Strength. Endurance, vigor, physical power, potency. How to define the ability to withstand and overcome the curve balls of life? I am not the only one with diary-producing issues. At least three people I know have lost parents; another had a serious operation; and yet, another has been trying to heal in the wake of separation from a 35-year-old marriage. What, I ask my God, do you want us to learn? Could it be how to maintain equanimity under pressure? Perhaps it’s a subtle directive to keep our hearts open in spite of the ignoramuses we encounter (see?). Perhaps it’s as simple as a desire and need to find love within our courage. I asked a minister if his faith was ever tested. No, I’m not a skeptic. I just want to hear what I know is the answer. That’s all I wanted to hear. I’ve been depending on the view from my window to help fill me up. In the morning, I watch the clouds gather. They are snuggled together like sheep, or like cotton balls with soft, tangerine colored edges. Some days they are scary in their weighted grayness. And some days, the sky has no clouds at all. I admit it: those are great days. In the wee morning hours, say one ‘o clock, before clouds take visible form in the black-but-really-deep-blue sky, I watch the Moon through the same windows where the clouds will soon be. The Moon, in her guardianship of millenia of human genius and ignorance, is a tremendous comfort. I willingly relinquish control to the sky, to the stars, to the deep blue infinity. In doing so, I somehow feel stronger. The time I spend trying to control what I cannot control is like fighting an undertow. We cannot control the death of parents, and even though we try our best, we cannot control the destiny of our bodies. In spite of all the efforts we put into commitment, sometimes our partners will not be committed. And so, I am taught to admit that great strength lies in surrender. There’s something zen about that, but I don’t really know what it is. On Being Stardust – a.k.a. 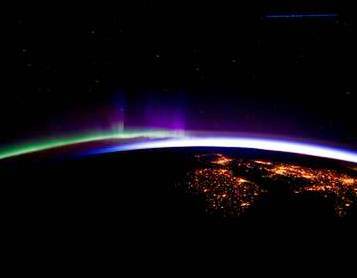 Science Confirms What God Knew All the Time. I LOVE it when science and God kiss.